ATO of Massachusetts is an independent, gender all-inclusive fraternity unique to Tufts University. 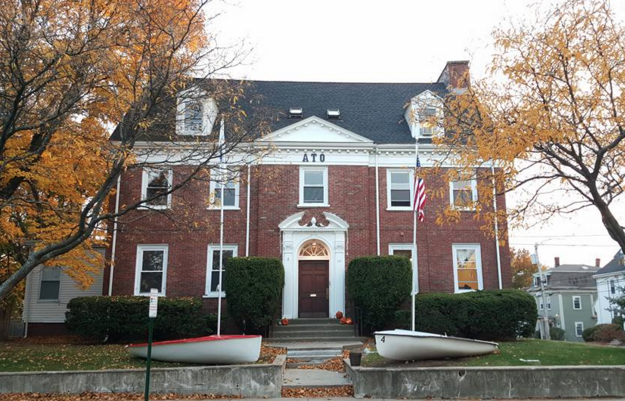 Brought to Tufts as the Beta Gamma chapter of Alpha Tau Omega in 1893, ATO separated from our national affiliation in 1974 to become Tufts’ first and only all-gender inclusive fraternity. As an independent fraternity, ATO is a self governing body which relies and thrives on our personal alumni network. ATO has been and will continue to be committed to the promotion of scholarship, equality and friendship on campus and in the community at large. ATO is currently the only organization on Tufts campus that is Green Dot certified. 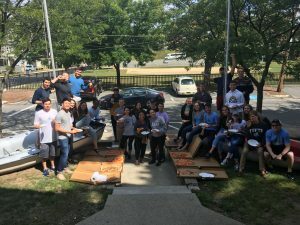 The training is a resource for students to become knowledgable in the fields of violence and sexual assault prevention as well as bystander intervention training.This six-hour training further strengthened the membership’s dedication to creating safe spaces on campus through discussion, education and action. Members of ATO undergo the six-hour Green Dot Certification with help from Alexandra Donovan and the Tufts CARE office!